I love decorating for the holidays. I tend to go a little overboard in my decorating actually but my family has gotten used to the crazy. They expect holiday decorations in every room of the home, even the bathrooms. Yup! 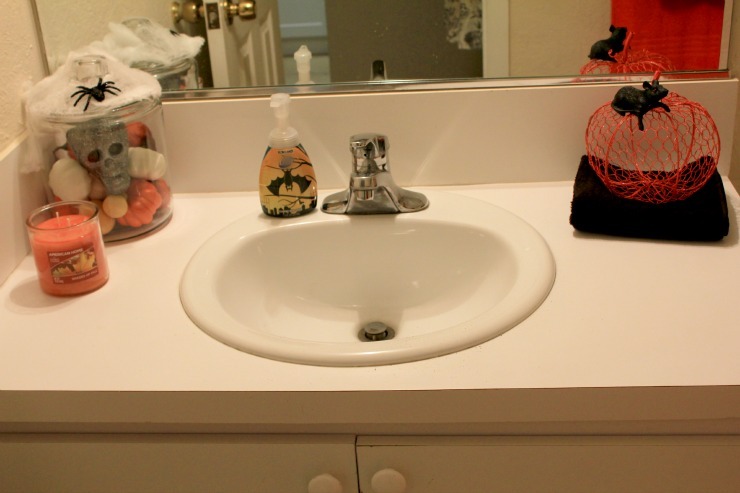 I even decorate my bathrooms. We have one guest bath downstairs, right when you walk into our apartment, and that's the first one that gets decorated. 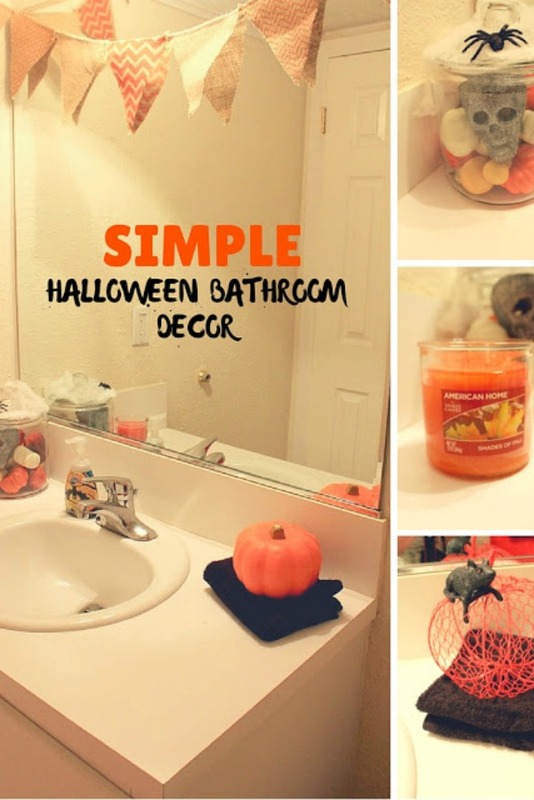 Here are some simple Halloween bathroom decorating ideas that you can definitely recreate in your homes! We don't have an actual fall season here in South Florida so I overcompensate by buying lots and lots of fall scented candles. 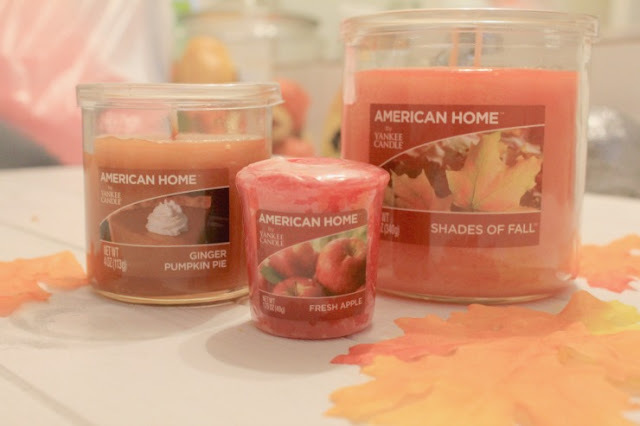 I'm a big Yankee Candle® brand fan so I was super excited when I found these American Home™ by Yankee Candle® brand candles the other day at Walmart. I picked up three different scents in three different sizes so I can place them all around my home! I mean, it was bad. So plain Jane! After I chose my candles, I went into the home decor section and grabbed orange towels, black towels and a glass canister. Then I went into the Halloween section and grabbed pumpkins, a skull, spider webbing and some other Halloween-themed items! 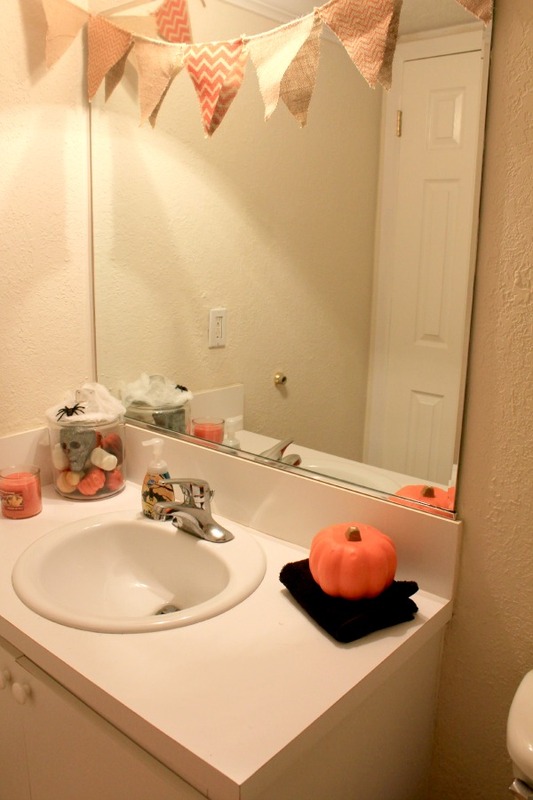 I wanted my bathroom to be fun but not spooky, scary or over the top! I started with the towel bar. 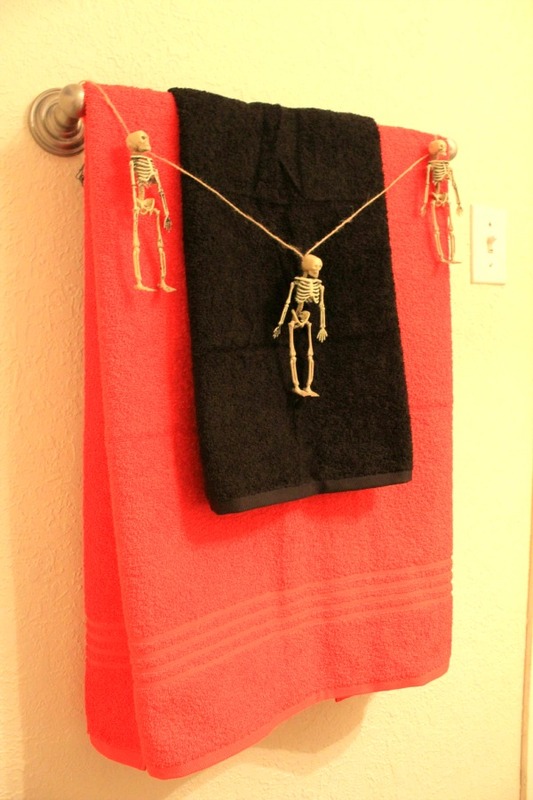 I hung an black towel over an orange towel and then tied a skeleton garland over it. 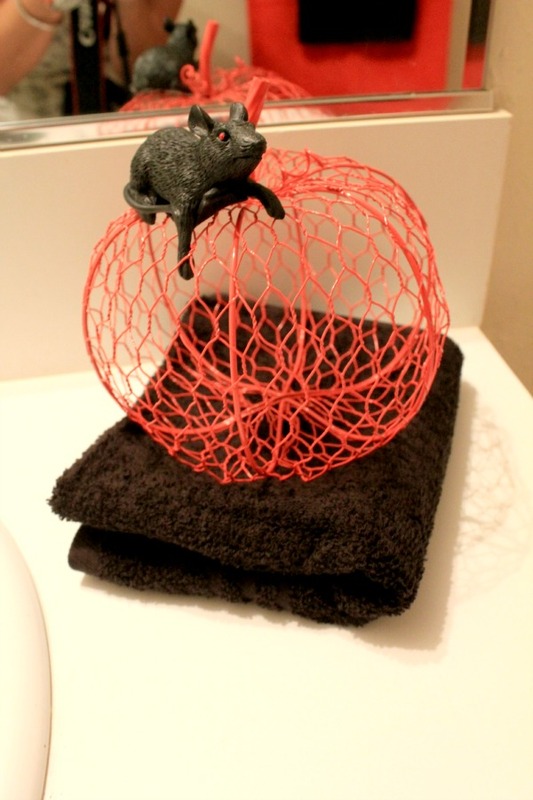 A simple folded black towel topped with a pumpkin. Simple and fun! 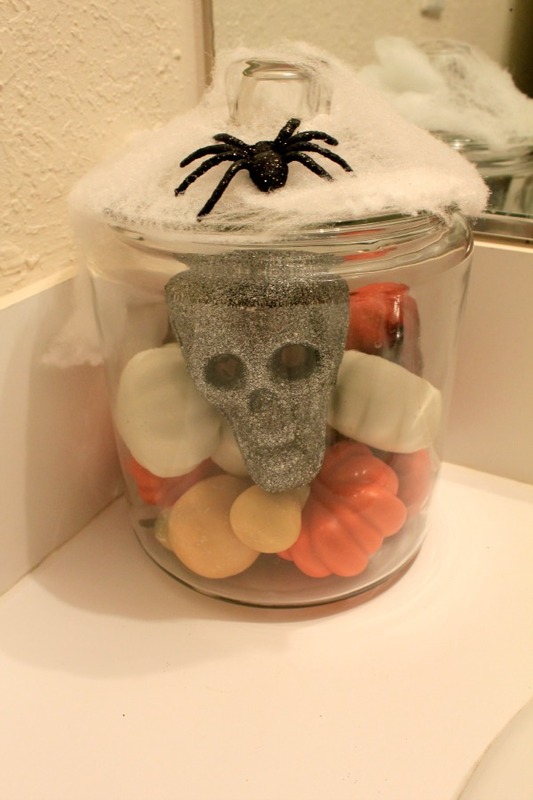 I filled the glass canister with pumpkins and a glittered skull. Then I topped it with spider webbing and a glitter spider. Gotta keep it fun! More pumpkins and a eerie rat! 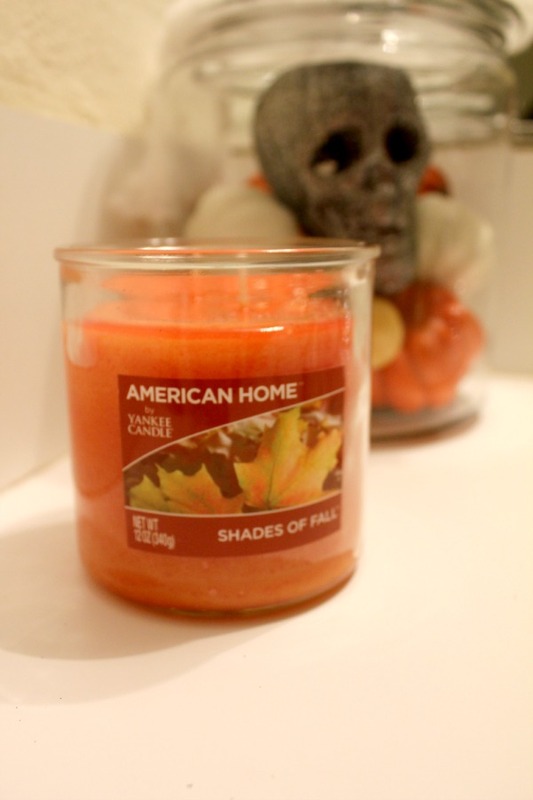 Let's not forget my American Home™ by Yankee Candle® brand Shades of Fall candle! 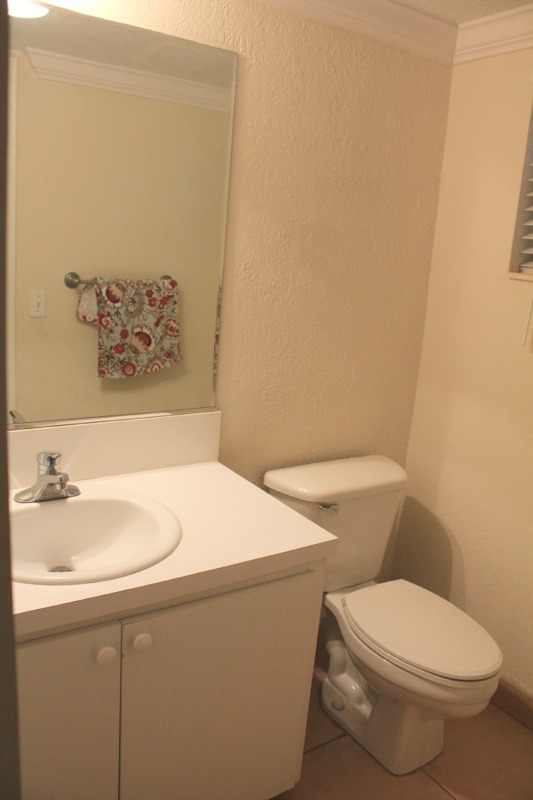 My guest bathroom is a half-bath so it's very easy to decorate. 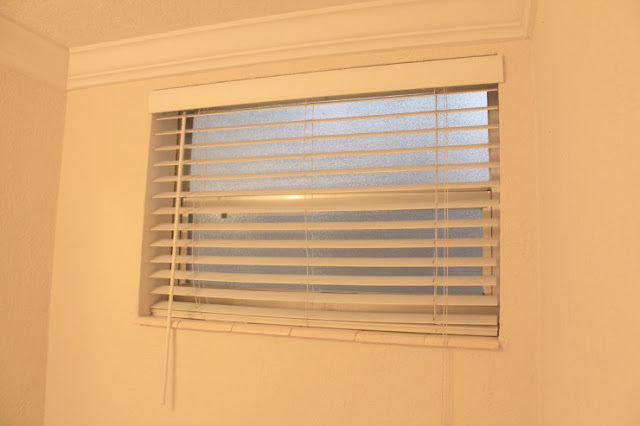 All you have to do is add a couple pieces to pull together your theme! 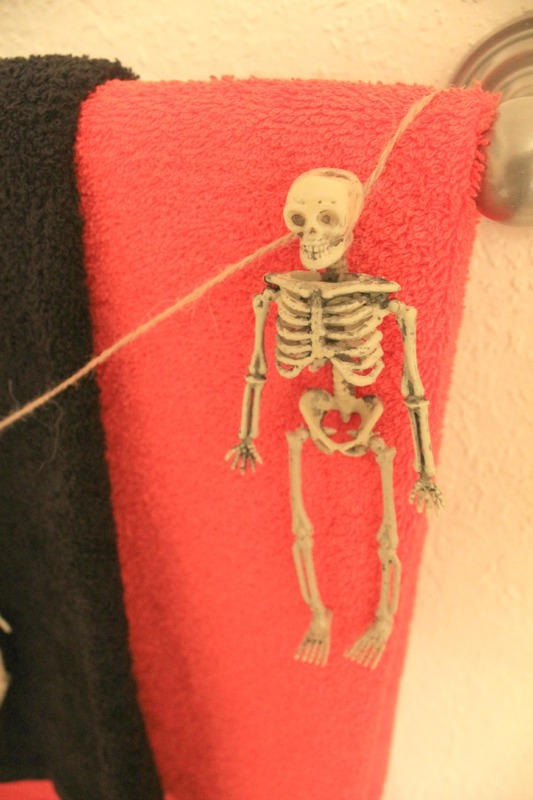 I love this skeleton garland! 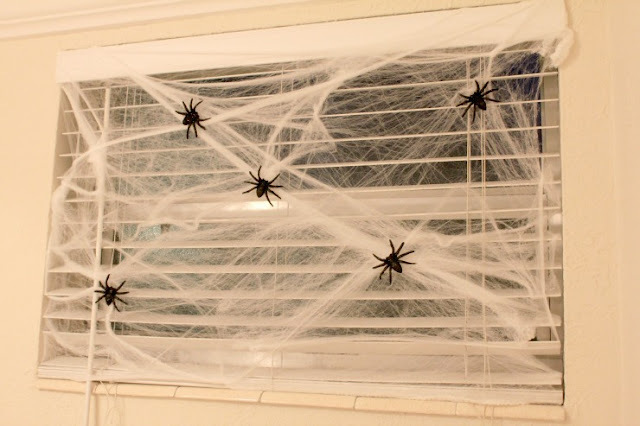 Oh and that super boring window is now a creepy spider's nest! 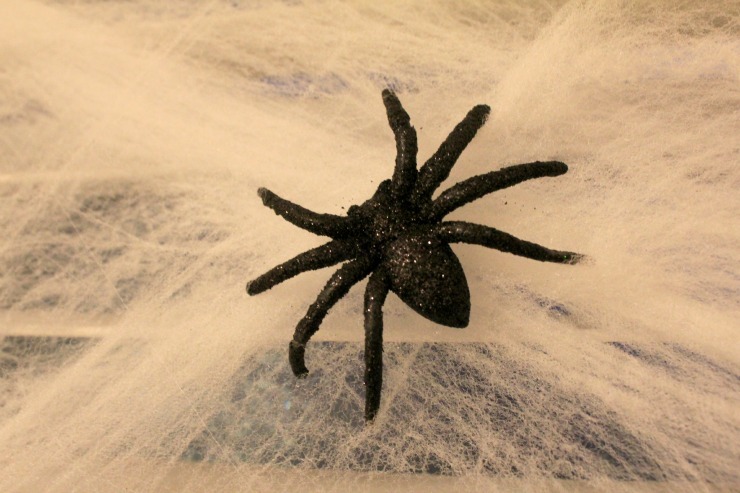 I am obsessed with these glittered spiders. Glitter always adds such a fun touch to holiday decorations! The American Home™ by Yankee Candle® brand is sold exclusively at Walmart. 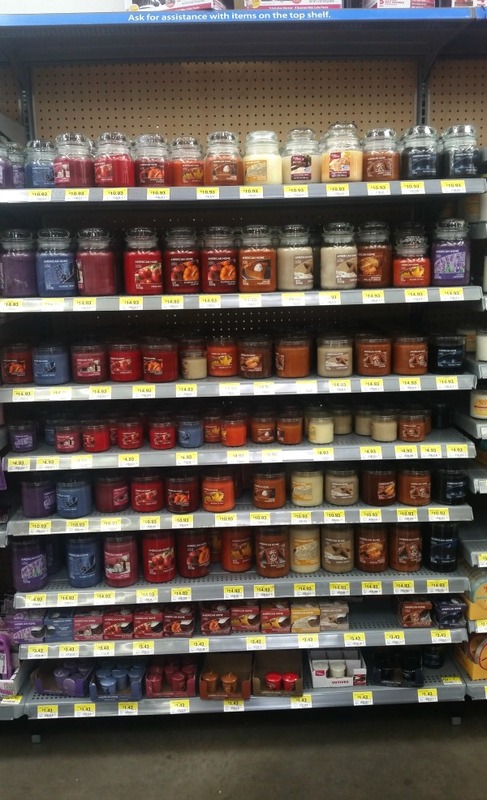 Check out the full Walmart assortment page for more information on all available fragrances! 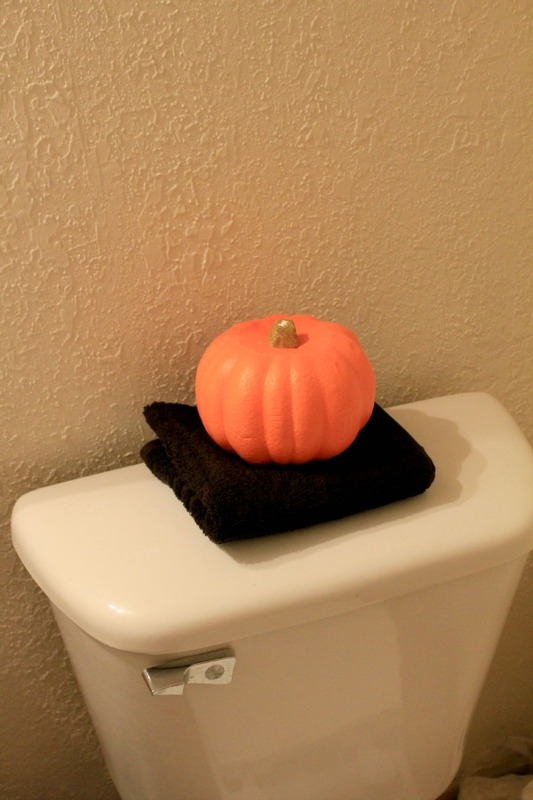 Tell me: Do you also decorate your bathrooms for the holidays? I'm already planning my next look!